How to use the all chat Messaging app in one screen. Phone chatting is one of the most important in human daily life. After the smartphone comes most of the people spend time chatting to take with others. On that lot of chatting apps are available. Personal, Office and Business all communication is done throw the messages. If you want to convey the message to your friends, family and office colleague are happen to throw the messaging app. In personal use mostly used the WhatsApp, Telegram, Facebook Messenger etc. But in business and office, we used the Hangout, Slack, Skype etc. How to use all this app in the single windows. For both Personal and Business life. If it possible? 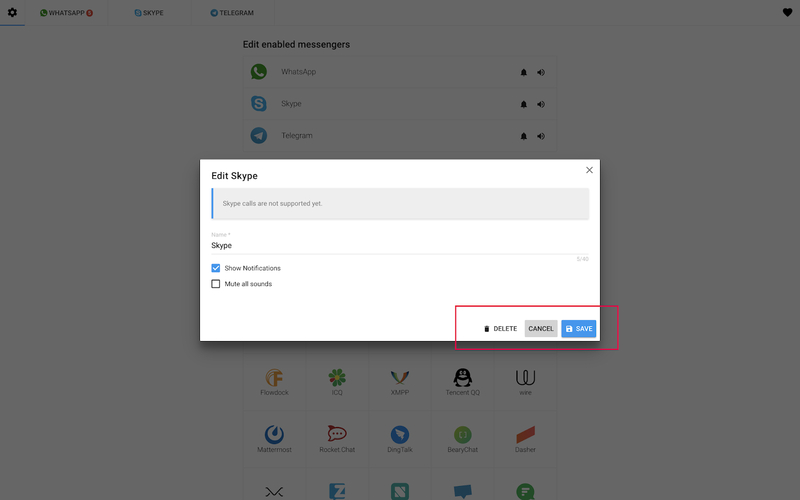 Here we have the solution how to use all the app in the single tab. All this problem can be solved by the on App called All in One Messenger. This one is Chrome App you can download it from the chrome store. It like the browser extension. But it will like the Desktop application it will open in the separate window. If you download the All in One Messenger app to your system it will be like this. Just select the which app you want to be used. After selecting the app it will ask the login creditability to open the app in that application. Just enter that particular application login detail to enter into that application. After login, it will show the app name in the top of the screen. If you want to remove the app from this application just select setting icon present in the top left corner of the screen it will take to the home page. 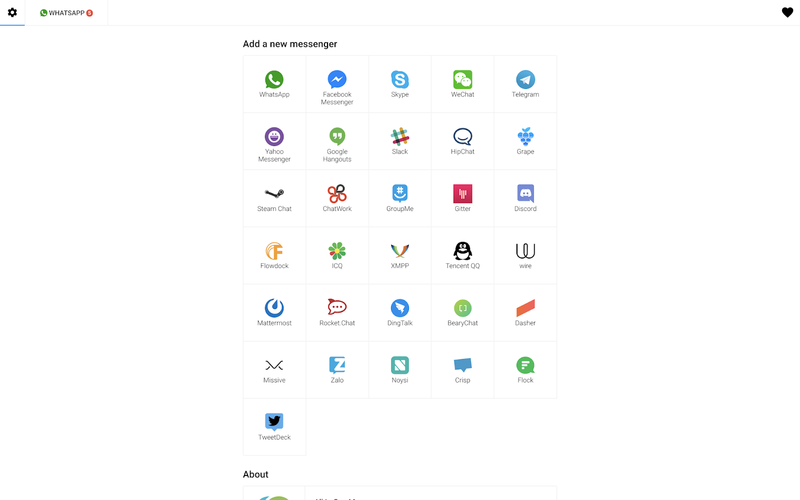 It will show a list of the app you used in the All in One Messenger. which one you want to remove just select will show the popup. In that it has delete button just select it will remove from that application.